Cyclone Idai has flattened homes and washed away the crops of thousands of families in Malawi, Mozambique and Zimbabwe. The death toll is horrifying and quickly rising. As in any crisis, children and families with a disability are the most vulnerable. Cyclone Idai has already caused massive destruction in Malawi, Mozambique and Zimbabwe, and floodwaters are still rising as torrential rains lash the region. 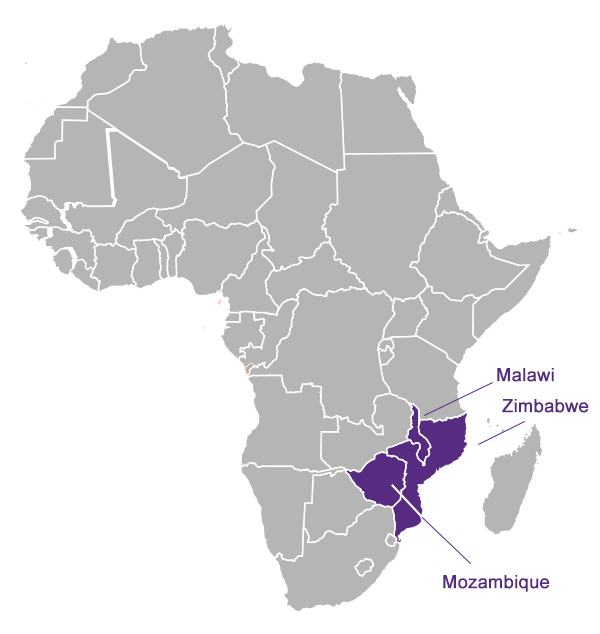 In Malawi alone, approximately 920,000 people are now homeless. Flooding has created a ‘major inland ocean’ in Mozambique. And in Zimbabwe, like the other countries, communities and cities are cut-off from support by overwhelming flooding. Emergency workers are saying this is the most destructive flooding in decades. Our partners have identified more than 11,000 in desperate need of assistance. Some of these people were left behind in emergency evacuations. Many are having real difficulty accessing shelter and food distribution points. Many have had their wheelchairs, medicines, crutches washed away. On Thursday the wind started blowing. My house was shaking. Everyone was talking about the mystery sound the wind was making and asking what was making that sound. No one understood that such a storm would come. On Friday the wind died down but the rain worsened. It was raining so hard the water was running across the ground and into the house. The house started rocking and so I decided I had to take the children outside into the rain. I carried Emmanuel out on my back. When I put Emmanuel down, he was laying in the water and mud. I held him as much as I could. We were all wet and cold. We stood in our yard in the rain for 4 or 5 hours, we were too afraid to go into any buildings. When my house collapsed I could only stand and watch – there was nothing I could do. The children were frightened by the noise and kept asking what was happening. I tried to comfort them saying it is just the wind. We heard the boulders come pounding down the hillside. Everything was shaking—there was so much noise as the large rocks came down. Whomp, whomp, whomp. We huddled cold and wet and slept outside until the rain finally stopped. Lucia and her family desperately need food and clean water. They need a wheelchair for Emmanuel. They need stable shelter. They need support to re-build their home and their life. Our local partners are working to provide life-saving aid – Food, Water, Shelter. The faster they can respond – the more lives we can save. 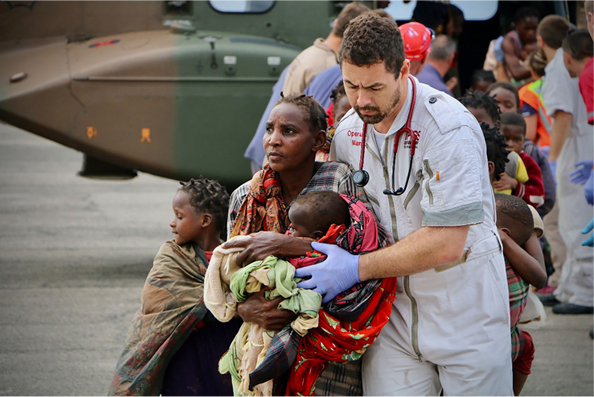 We will work with local health and hospital partners to treat injuries and disease in the aftermath of the Cyclone. Together with our community-based partners we will be there in the long term to help re-build lives – through rehabilitation and livelihood support. *** Donated dollars will be multiplied X2 in value by Canadian hospitals and manufacturers donating “In Kind” medical goods and assistive devices. $50 will provide a child affected with disability life-saving food. $100 will help provide clean water to a family – clean water doesn’t just provide relief, it will prevent disease and disability! $200 will help a family living with disability for the weeks and months ahead as they work to recover from Cyclone Idai. Please pray for everyone affected by Cyclone Idai. ”"I have come into the deep waters; the floods engulf me. I am worn out calling for help; my throat is parched. My eyes fail, looking for my God..."